This large Victorian 10 3/8 " dinner cabinet plate is transfer printed in dark brown and under the glaze is spectacular hand coloring in an exciting array of bright colors. Very rare pattern to find. 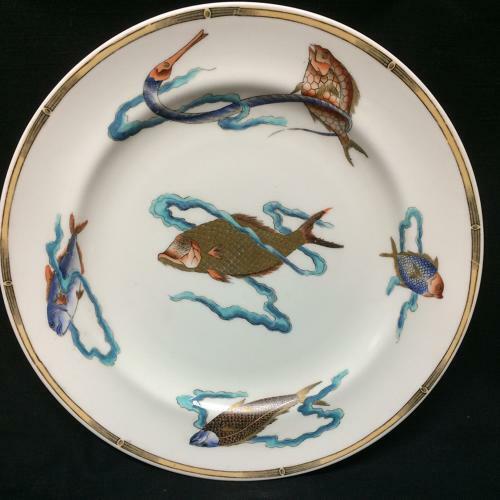 The piece is marked on the underside with the trademark that identifies the maker as Worcester, a pottery and porcelain maker working in England since 1751. The piece is in great condition, shiny and bright. No chips, no cracks, no hairlines and no repairs.